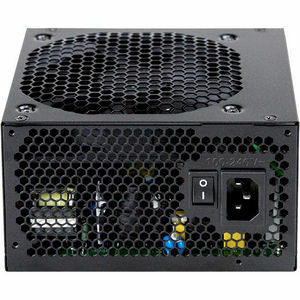 Antec's EarthWatts Platinum is one of the most efficient PSU series ever created. With an 80 PLUS PLATINUM rating, the highest efficiency mark for power supplies, this PSU achieves up to 93% efficiency and gives you savings unheard of from other power supplies. By using the EA-550 Platinum, you can reduce your computer's power consumption by 25%. A 3 year Antec Quality warranty, a whisper-quiet 120mm DBB fan controlled by Antec's renowned Thermal Manager and CircuitShield's industry-leading 7 levels of protection make the EA-550 Platinum one of the best choices available. Get the power you need, save money and help protect the environment with Antec's EA-550 Platinum!